Exciting news! We will find out this month whether we have won our first national award. 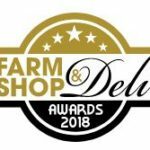 The store has been shortlisted in two categories (Best Food Hall and Best Newcomer) in the Farm Shop and Deli Awards. 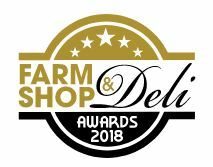 The results will be announced at the Farm Shop and Deli Show, which runs from 16th to 18th April at the Birmingham NEC. Everyone at the store is absolutely thrilled to see our name on the shortlist. We are not even two years old yet and still evolving, therefore to be named within the top handful of similar businesses in a major national competition is a huge boost. We know that the judging process includes an ‘undercover’ shopping visit, which means we have been judged on our real life performance. We’re therefore keeping our fingers crossed that that the judges discovered all the things we know our regular customers love about us – our team’s expertise and brilliant friendly service, our wonderful displays of fresh produce, our extensive range of high quality, 100% local food and drink, and our realistic prices. This follows our other significant wins last year, when we were named Best New Business in the Cornwall Business Awards and Best Independent Retailer in the regional Food Magazine Awards. A national award would reinforce the store’s position on Britain’s food retailing map. Watch out for more news when we know the final result.